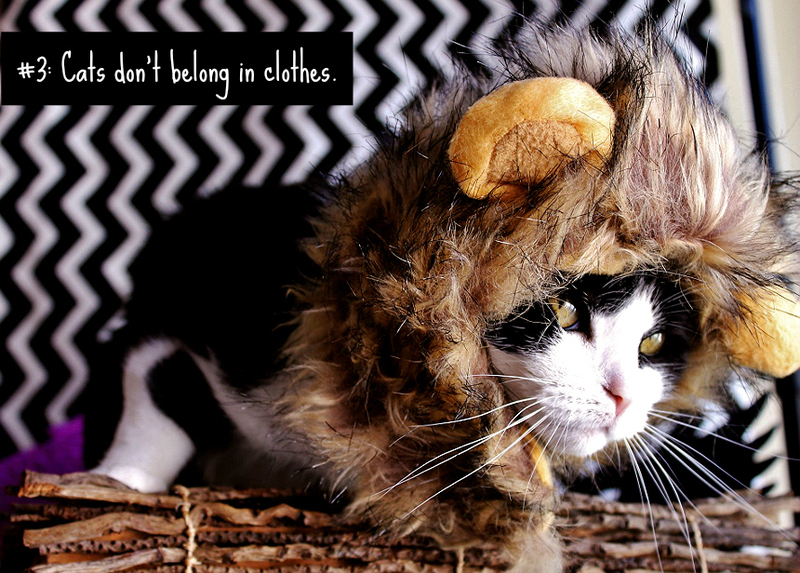 Momma Told Me: It's not easy being a cat. When I was a little girl I loved to play make believe. While some of the other little girls put on tiaras and pretty dresses, pretending to be princesses, or mothers, I would make myself a pair of pipe cleaner ears, and a ribbon 'tail' and crawl through the house on all fours meowing. Yes, I was 'that' little girl, and looking back I think it mortified my mother quite a bit. Of course being a cat wasn't all fun and games- Momma liked to remind me that cats were also excellent groomers, very intelligent animals (so I'd better study plenty,) and extremely agile (little girls cats needed to practice their balance). While I've since grown into a self respecting Crazy Cat Lady and left my role-playing days behind, much to my friend's and family's relief, I still have mad respect for what it means to "cat". 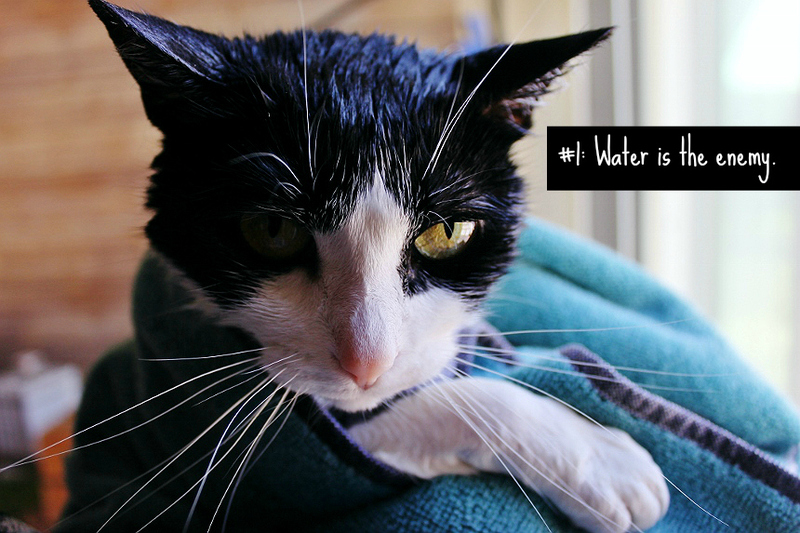 Rule #1: Water is the enemy. This is a tricky rule. 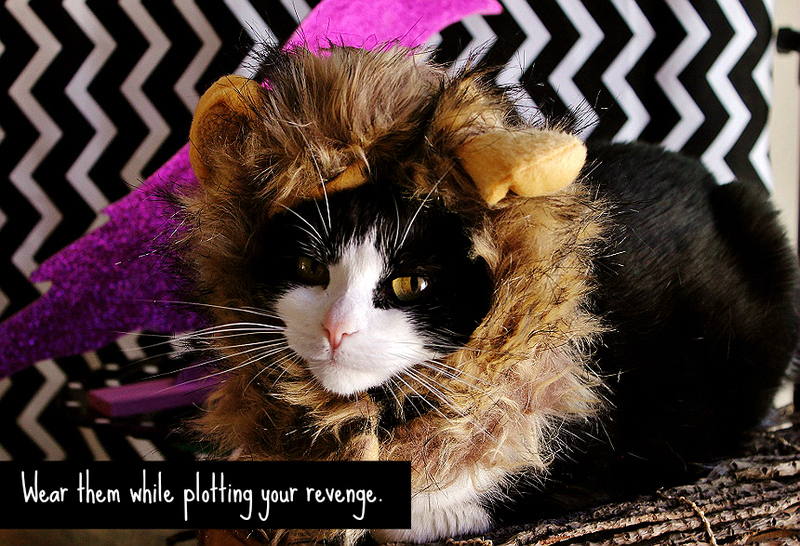 As a cat you need to pretend you are impervious at all times when humans are watching. You have your own bathing system, you need never have your head dunked under-water unexpectedly, and severe punishment must be dealt for those who believe this is okay. When placed in a bath, basin, or sink your limbs will lock, you will shriek, all memories of any fondness for the person inflicting this unimaginable horror on you will vanish, and you just may relieve yourself then and there. Bath time brings unimaginable horrors, avoid it at all costs. You are a cat, you've got a cleaning system down, you don't need a 'bath'. At the same time, if you happen across any form of running water you are instantly drawn, like a moth to a flame. 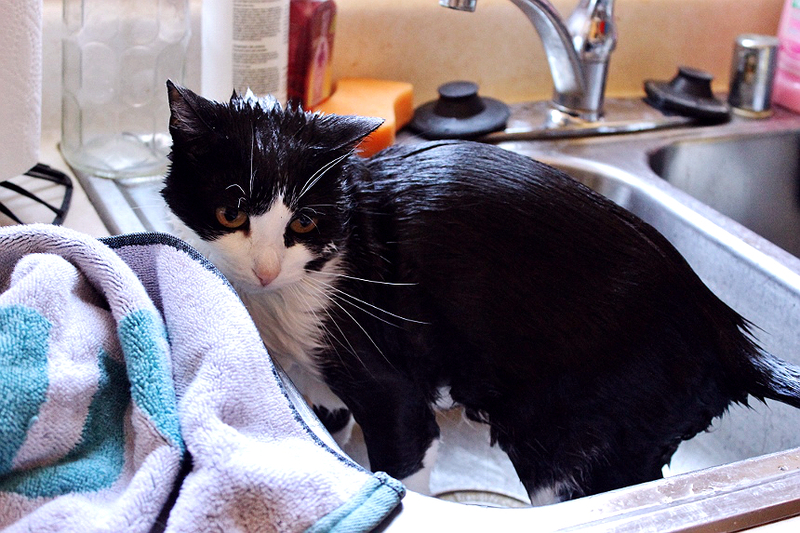 You may sleep in empty sinks or hide in tubs when severely agitated. You are more than happy to drink from the glass chalices humans leave on various tables throughout the house. And playing with a running or dripping faucet is completely acceptable (Go figure). As a cat in a domesticated situation you now hold a special title within your home, "Tech support". It is your duty to ensure that all electronics in the house are thoroughly inspected and in working order. Feel free to 'scan' the working status of tablets, computers, smartphones and more by firmly placing your bum on their surface and sitting on them. Chatter loudly as diagnostics proceed and refuse to move until all necessary tune ups have been made. When it comes to larger electronics, such as televisions, you may need to place as much of yourself as possibly between them and your human. You're not meant to be a window, you're tech support, your human can just deal with it. Rule #2: Electronics are your domain. 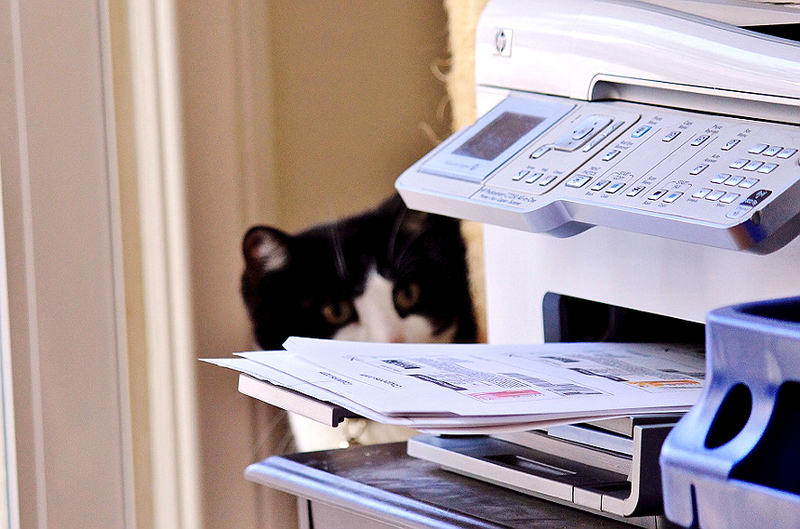 Which brings us to #2; part of your job as "Cat" requires that you commandeer electronics at the most inopportune time. 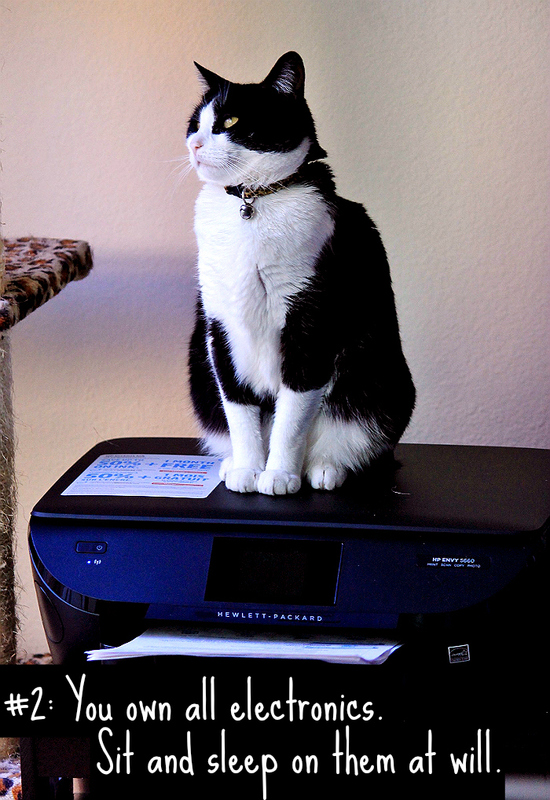 If a computer is open and unattended your human most likely wants you to sit on it, otherwise they would not have left their electronics unattended. If an electronic makes an unusual noise, or emits a strange pattern of lights you must immediately devote all your concern and attention to such device until the problem is solved. One solution to stopping the offending behavior is to locate the device's cords and proceed to adjust them with your claws, teeth, or any other tools naturally available at the time. When all else fails shed profusely on said electronics, perhaps the extra layer of insulation will make them work better. Rule #3: You wear no uniform. 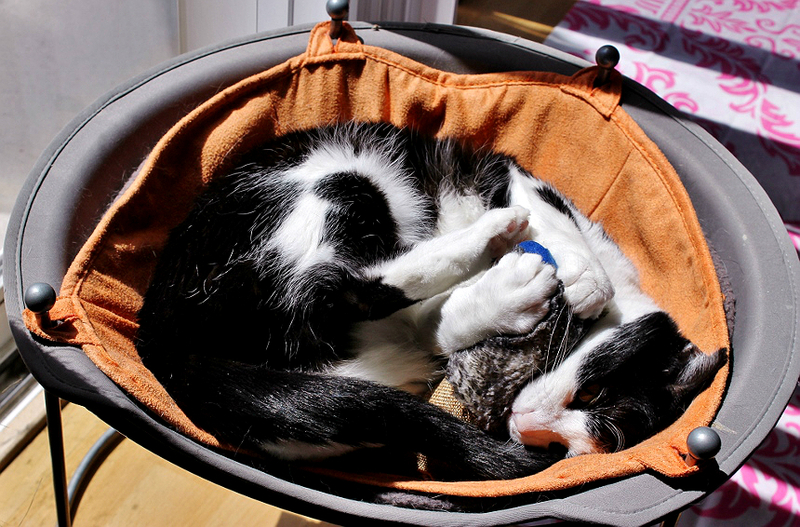 One of the obviously awesome things about being a house-cat is the 'clothing optional' workplace policy. Occasionally you may be asked to wear a scrap of fabric around your neck so that you can identify your human should they ever become disoriented and lost. Anything beyond this is NOT in the job description and retributions should be sought through the union. Rule #4: Always demand more. 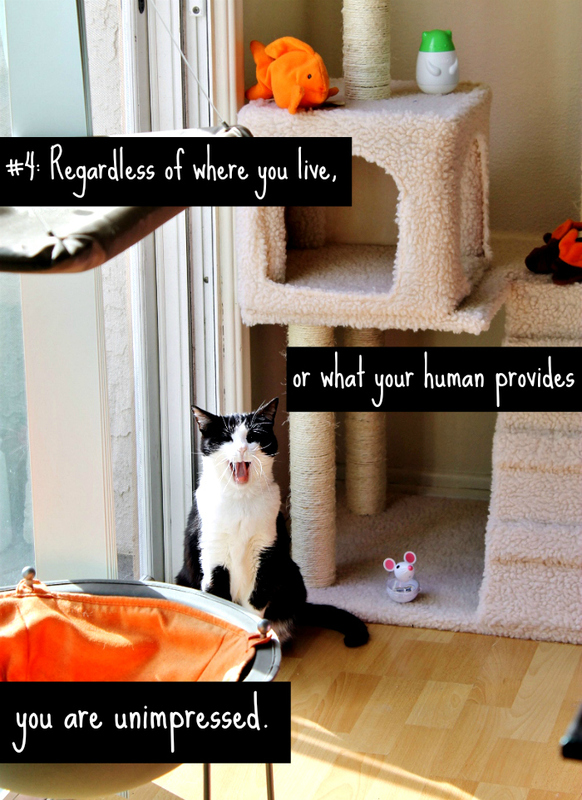 As your human's cat it's up to you to ensure that your human's habitat meets the high standards of Feline Quality Living. Be sure to test all furniture for durability with a few swift stretching scratches. If the item instantly shreds, it'll never do. Your human should be grateful, it was clearly a pile of rubbish not worthy of their living space. If your human attempts to please you by providing 'cat accommodating' furniture you should take this as a cry for help. Clearly they do not value their own safety and lives enough to understand the delicate work you are doing. Be sure to continue regular 'inspections' on all other furniture in the home. After all, why tear up your own furniture, who wants their furniture ripped to shreds? Silly humans. 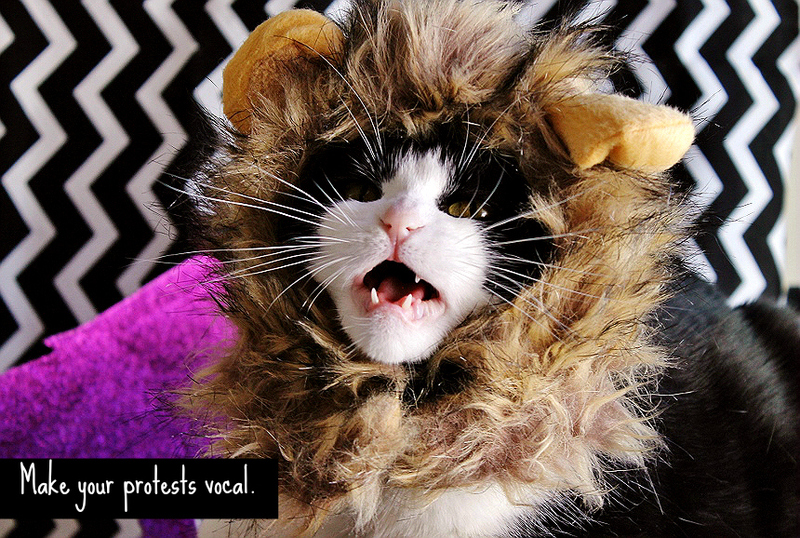 Are you about exhausted from all of the "catting" yet? As you can clearly see, being a cat is no joke. There are responsibilities, obligations, and the good name of "feline" to live up to. No wonder ancient civilizations worshiped cats. How would humans have survived without them? 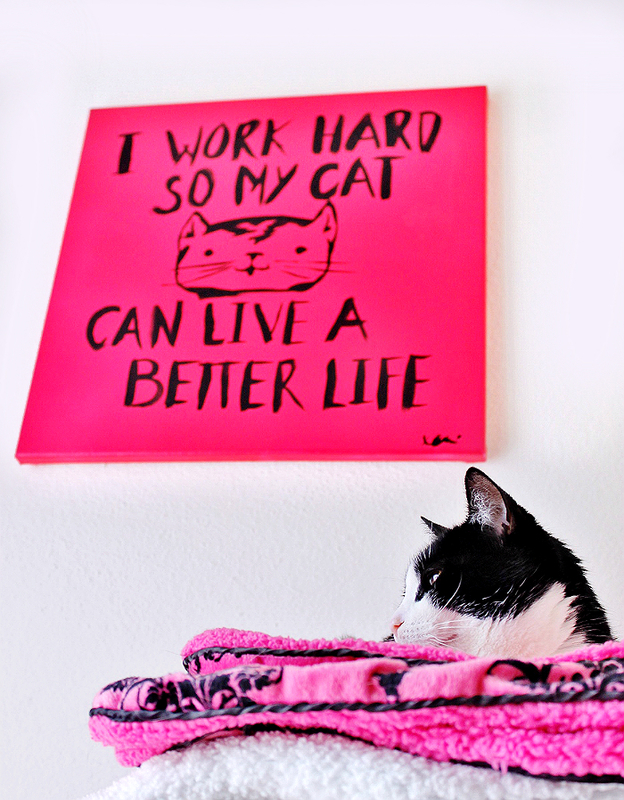 I appreciate all my cat does for me, and recently gifted her with a decor upgrade that mirrors this sentiment. Our 'kitty corner,' as I like to call it, was looking a little drab, so I spruced it up with some modern art only a cat lady (or man) could appreciate. 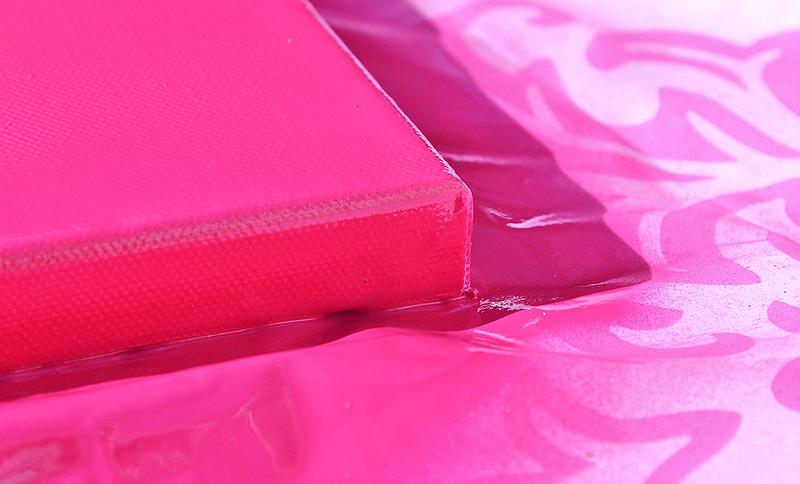 This project was super easy- I picked up a 20" x 20" square painter's canvas at my local craft store for about $14 and spray painted it a vibrant pop of hot pink. 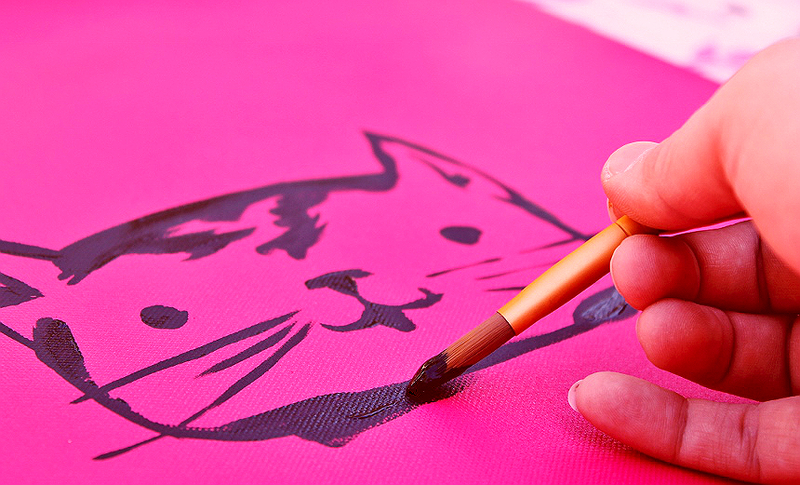 Naturally, you can paint yours any color you desire- or even use traditional painting methods to cover it in color. Since I had spray paint on hand, and it was the quickest method for large space coverage, I went with that. Once 2 coats had dried I pulled out some black acrylic, glossy, paint, a medium bristle brush, a paper plate (my palette), and a cup of water. I proceeded with painting my kitschy design. Thankfully, for you, I've turned this design into a simple PDF template so you can reference the artwork while replicating it. As a cat would say- "You're welcome, human." 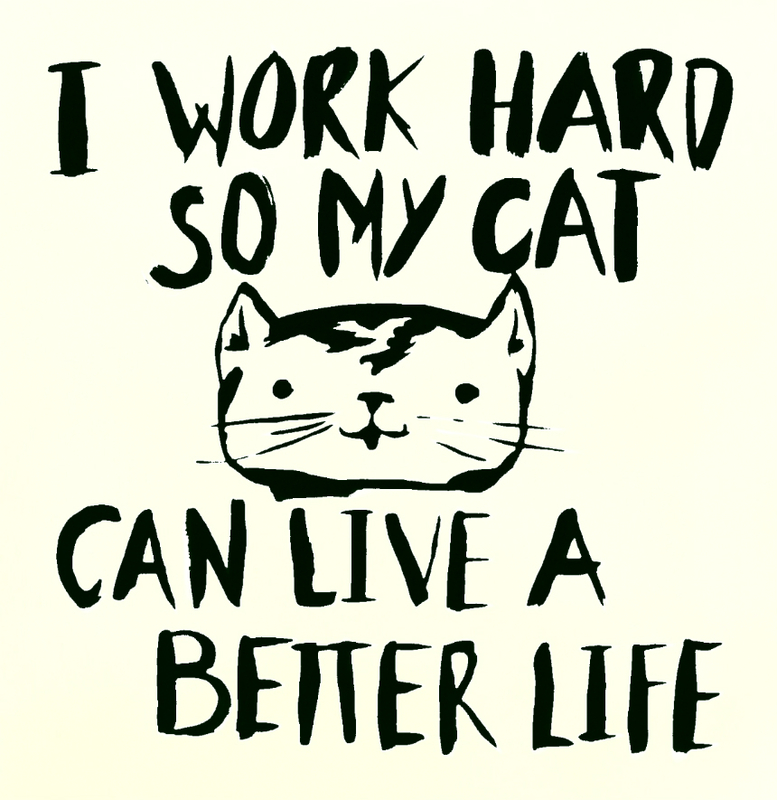 Click here to download the "I work hard so my cat can live a better life." PDF template. While this particular piece of art probably belongs over my desk, more than anywhere else, it really adds a pop of color to the "kitty corner," and I plan on adding some LED accent lighting shortly to help really make it pop. As for now Truffles seems quite content looking down on her human servants in approval. 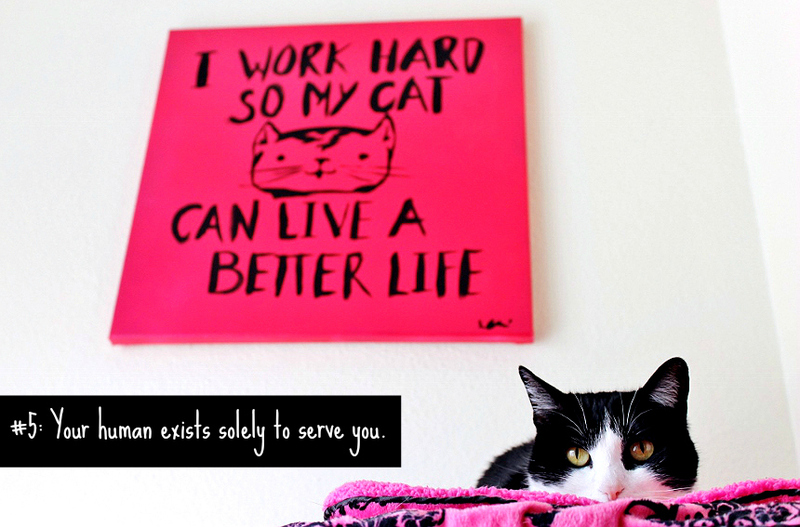 Rule #5: Your human exists to serve you. This brings us to one of our most important rules of "Catisms 101," the order of dominance, the chain of command, the circle of life. You are cat. No other creature sits higher than you on the throne of celestial importance.You permit your humans to live in your home so that they may feel self fulfilled by their accomplishments of serving you. If at any time you are displeased you will punish them accordingly by 'forgetting' where the facilities are, smothering them in their sleep, or waking them up promptly at 9 AM (Greenwich Mean Time Zone). Rule #6: Inspect all the things. Similar to Rule #2, Rule #6 dictates that cats shall be in charge of inspecting the functionality and safety of any item found within the walls of their home. Humans are funny creatures who don't know what's best for their own good. It's your sole responsibility to redecorate, commandeer, abscond with, or test out anything you deem suspicious. If it breaks you were clearly only doing your job, and inspection was obviously necessary. Common items requiring imminent inspection include, but are not limited too, toilet paper rolls, boxes or containers of any kind, shoes, fresh laundry, things with small or blinking lights, remote controls, and containers with small or liquid contents. Don't bother cleaning up messes, that's included under your human's job description. 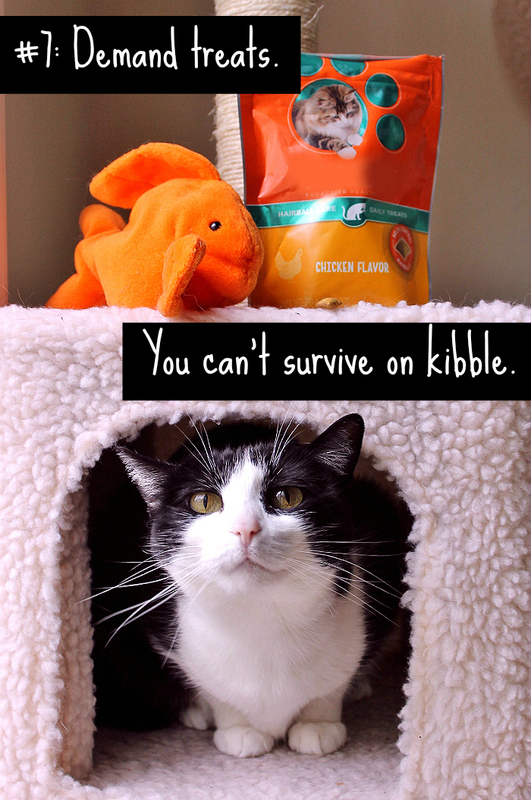 Rule #7: A cat cannot survive on kibble alone. Being a domesticated cat means you require a special diet. One of variety and the utmost of gourmet flavors. If your regular menu doesn't include some form of salmon and cheese you are severely neglected. These are high end ingredients the humans prefer to horde for themselves. Greedy humans. If your human does not present you with some form of elevated food offering at minimum once a day you will have to resort to claiming what is rightfully yours in a process known as 'table surfing.' It's important, if you are caught, you make it well known that you've been at their plate for quite a while and all food is now severely compromised. In most cases they will realize the error of their ways and present the remaining food to you as a peace offering. 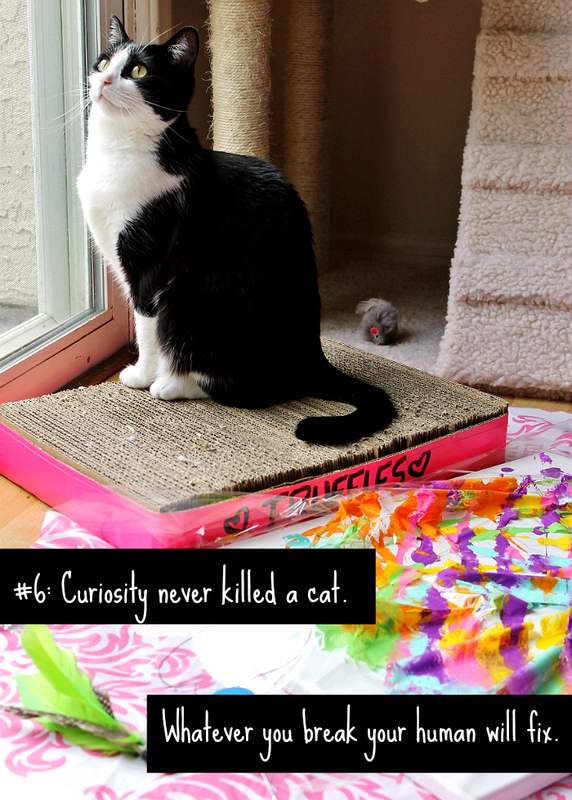 #8: Unleash your inner cat. Just because you may have a silly human identification collar and cohabit with a lesser species does not mean you are any less feline. Hunt, stalk, eat, and sleep at will and on your own timeline. Sometimes life demands that the house be torn through at 2AM- it's a hard job, and the hours never let up, but some cat has to do it. When tearing through the house in the wee hours of the night be sure to bang into as many things as possible to ward off any potential prey. Should you over exert yourself and find yourself dehydrated and heaving be sure to leave sign of this in the middle of a highly trafficked floor. Otherwise, how will your human know to clean it up? 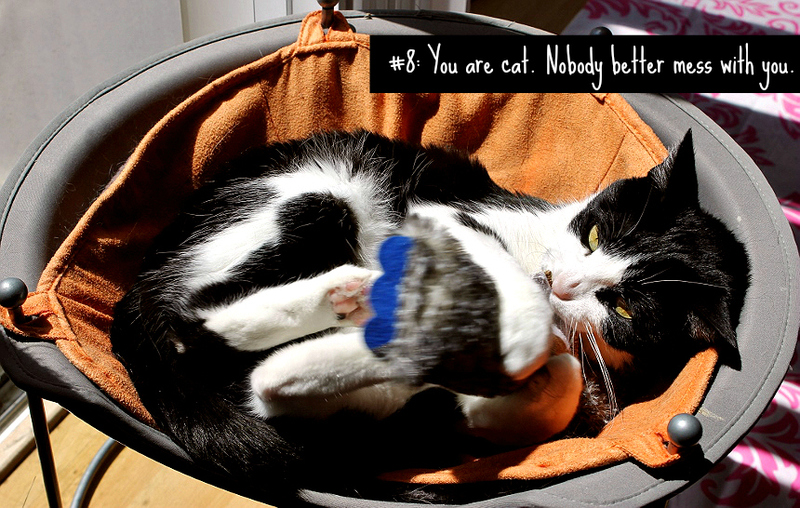 Rule #9: A litter box is a throne. Your paws won't grace any old litter, and you'll be sure to let your human know of their grave misdeed in choosing a sub-par litter for your commode. Humans are awfully busy servants so be sure to point them in the right direction and suggest they shop at Sam's Club for their litter needs. 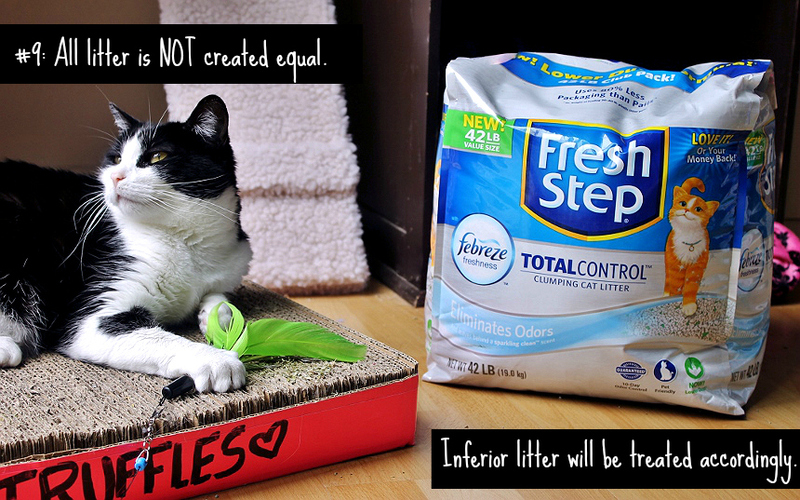 After all the 42lb bag of Fresh Step Total Control with the Power of Febreze is not only extremely convenient in cost and size, but the only clumping litter backed by the odor eliminating power of Febreze. It features a unique borate technology with antimicrobial properties that inhibit the growth of odor causing bacteria. Translation? This litter helps cut down on litter box odors while freshening with a lemongrass scent fit for royalty. Rule #10: No cat is an island. Which brings us to our final rule- "No cat is an island". We fuss a lot about how humans are meant to serve us, but the emphasis really should be on how we support one another. It may feel like the walls around you create your own private world but there are a lot of felines out there who don't have humans as dedicated as yours to take care of them. Whenever possible give back tot he community. Fresh Step was so incredibly awesome to help me fund my recent donation of $100 to the Blind Cat Rescue & Sanctuary, a non profit organization located in North Carolina which provides a lifetime home to over 40 cats deemed incapable of ruling their own humans due to severe illness, blindness, or other disabilities. Thanks to the generosity of people worldwide the Blind Cat Sanctuary has a wonderful habitat across multiple buildings- you can even log onto their live feed and check in on your favorite felines. There are countless organizations nationwide in need of support financially and through physical or time donations. Never forget how lucky you are to have your human servants! So there you have it, the most important rules of being a cat. Of course there are many more things to consider, but Truffles has to get back to her lookout and resume her afternoon name- otherwise she just might miss her midnight security detail. And speaking of that lookout. Remember that painting Truffles did last month? Yes, that's it in the photo above. 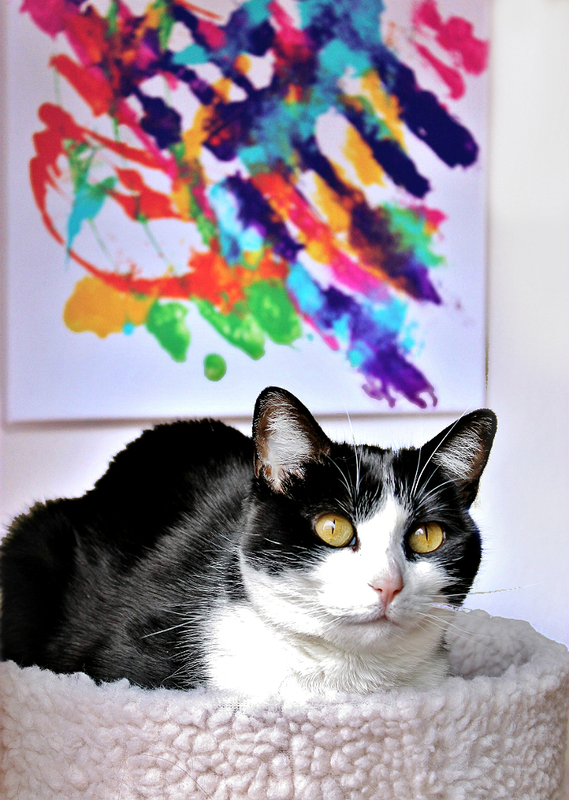 Of course, in true cat fashion, she now demands we reference her by her artist's name "Ms. Truffles." Cats. Can't live with them. Could probably live without them. What Daughter Says: I'll leave the job of "official house cat" to Truffles, I think she's got it covered. These are all so true of cats. Mine look at me in disgust when I expect them to do something, like move off my phone or laptop. My male cat will even knock my phone out of my hand but I am sure he is just trying to save me from some death ray that might come shooting out of it. He obviously is working hard at his "tech support" job. Haha! Truffles likes to chew on electronics, and not cords, the electronics themselves. Her favorite right now is the Apple TV remote, but she'll chew on my smartphone is it's pitch black and the screen is lit! OMG, how incredibly cute! 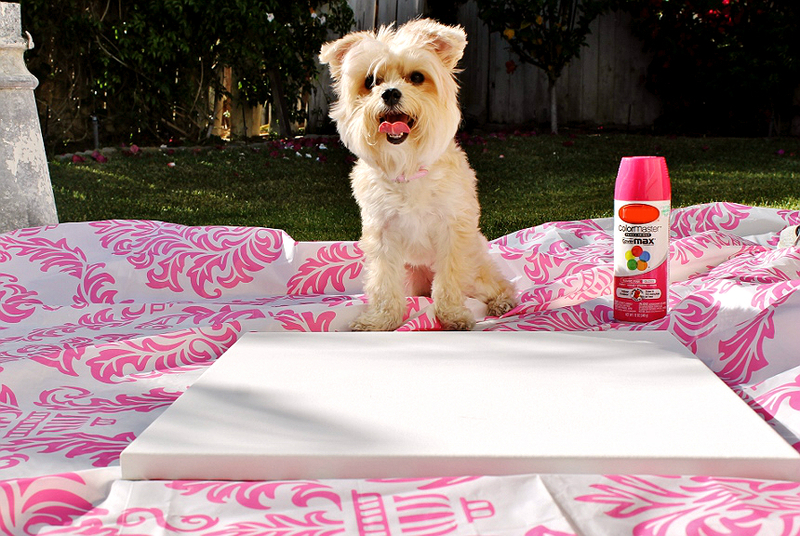 Love your artwork and all the great photos of Truffles! Ha. This is such a cute post! The cat wall art is great. 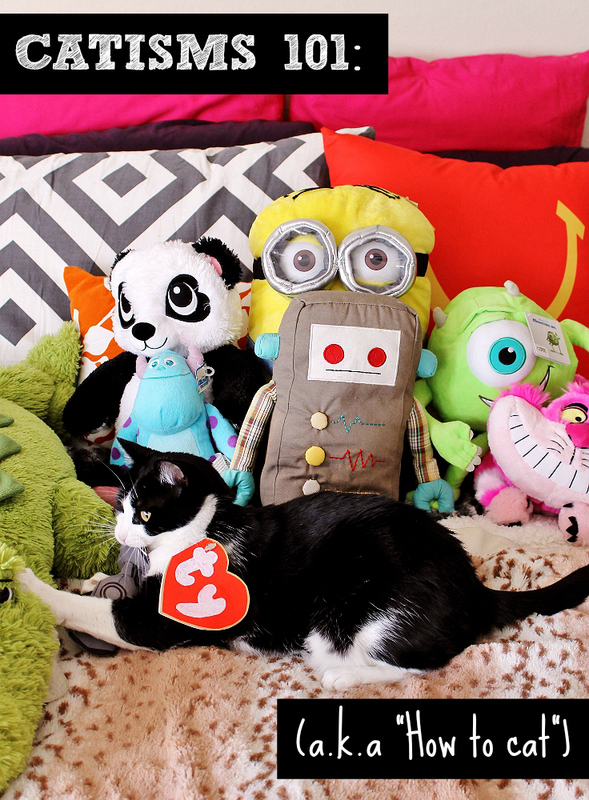 I love the phrase "catisms" too :) great post! 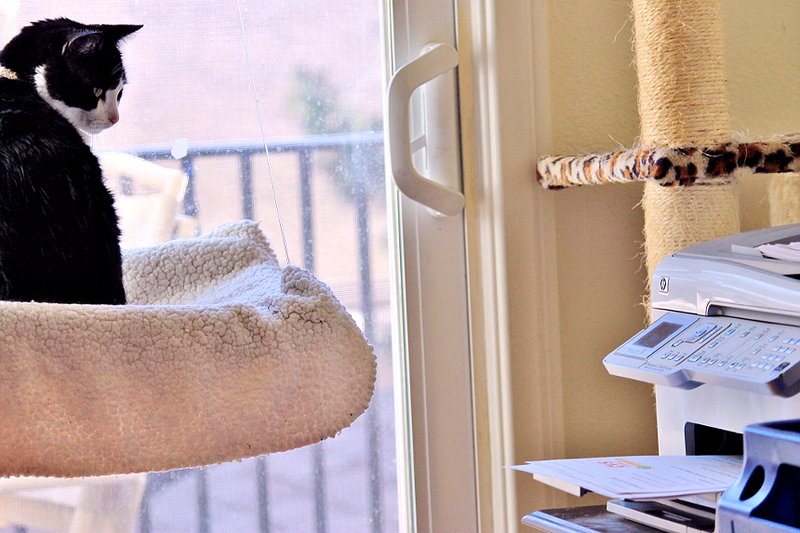 This post is so wicked cute as is your cat! When we were younger, my cat used to do the same! Thank you for including at least one photo of a dog (and a cute one at that). I'm sure he needs some attention now that the cat has gotten all of it! The Farm cats rule this roost - they know I'm their slave. That was very nice of Fresh Step to help with your donation. 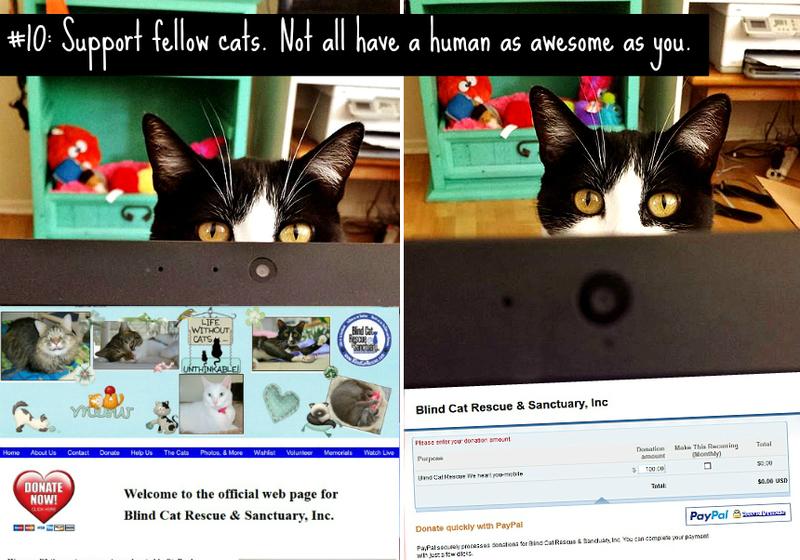 That is an exceptional shelter doing amazing work with blind and disabled kitties. Fresh Step is one of my two preferred brands. I have been wondering how this one smells and thinking about trying it so have been watching for a sale. 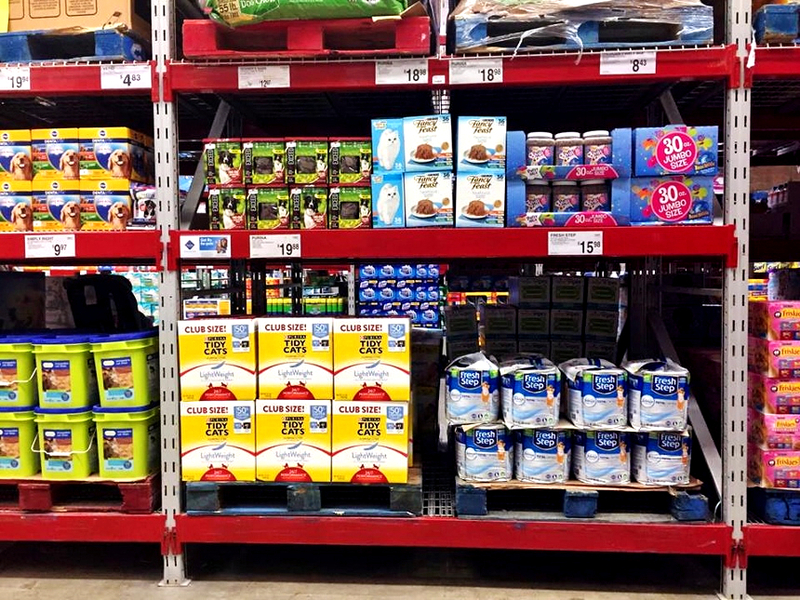 Hi Val, When you pick up the 42lb package from SAM's it's not only saving time by buying in bulk, its a great deal I can rarely find at the grocery stores without hunting for coupons- And this month you can get $3 off instantly at Sam's Club! Fresh Step Total Control with the Power of Febreze sounds like the perfect solution to that "I know you have a cat in here cuz I can smell it" issue. I like the fact that Sam's has a coupon. Catisms? How about "The people who love them the least, they love the most.."